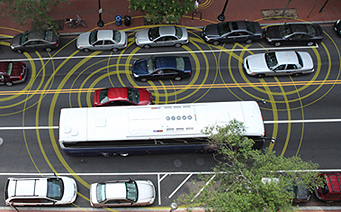 The U.S. Department of Transportation’s (USDOT’s) Connected Vehicle Program works with state and local transportation agencies, vehicle and device makers, and the public to test and evaluate technology that will enable cars, buses, trucks, trains, roads and other infrastructure, and our smartphones and other devices to "talk" to one another. Cars on the highway, for example, would use short-range radio signals to communicate with each other, so that every vehicle on the road is aware of where other nearby vehicles are. Drivers would receive notifications and alerts of dangerous situations, such as a potential red-light violations; icy roads ahead; or an oncoming car, out of sight beyond a curve, swerving into their lane to avoid an object on the road. Learn more about Connected Vehicles in CV Basics. The USDOT has long been a leader and strong supporter of research, development, adoption, and deployment of ITS around the nation. 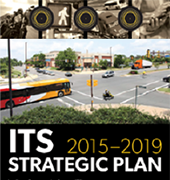 Learn more about the ITS Strategic Plan 2015-2019. Reduced fatalities through weather-related, safety, infrastructure-based, and other applications. Discover more benefits of connected vehicles. The USDOT will focus much of its CV program activities on adoption and eventual deployment of CV systems. CV research, development, and eventual adoption fall into two areas based on activities in the USDOT. Vehicle-to-Vehicle (V2V): communications based on dedicated short-range communications (DSRC) technology. DSRC-enabled devices in vehicles that broadcast safety messages may be regulated by the USDOT and thus comprise a certain set of research, development, and adoption questions that are specific to this authority. Other CV technologies and communications that are enabled by either DSRC or other networks, such as cellular, Wi-Fi, or satellite. 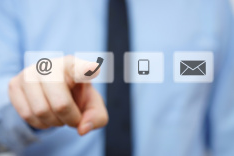 Although the USDOT is not researching regulatory decisions related to these other communications technologies, they are very much a part of the overall research and development foci. The ITS Program will consider how various technologies and communications media will interact and operate within the anticipated CV environment, including safety and other types of applications and messages. LOOKING AHEAD: What's Next for Connected Vehicles? Safety is the number one priority of the USDOT. Emerging, state-of-the-art technologies and systems, like those being advanced by the ITS program, will help usher in an era of unprecedented road and highway safety. What once was considered science fiction—vehicles that communicate and help drivers make life-saving decisions—may be a reality in the coming decades.